Hi and thanks for visiting. Today I made a birthday card that I would like to share with you. The image I used is Little Elf Kia from Aurora Wings. I colored her up using Spectrum Noir markers. To create the sky background I tinted around the image using chalk. The sketch I used is from the current challenge at Sketch Saturday. To create my card I started with a 5 x 5 pink base. Then I cut a piece of pale pink card stock slightly smaller than the base and embossed half of it using a dot embossing folder. It is a little hard to see it in this photo but if you look close enough you can see the piece of white floral vellum that I added to the top of the other side. I added a piece of pink card stock below the vellum and added a white ribbon between the two pieces. I backed this in white card stock and added it to my card. I layered a tiny pink paper flower onto a white paper flower and added a light pink gem to the center. I added leaves that I punched out of sage green card stock and branches that I punched out of white card stock. I punched 3 mini butterflies out of pink card stock and added one to the flower and two to the image. I also added crystal stickles to the butterflies, white flower and branches. I stamped the sentiment onto the bottom of the card and added 3 light pink gems above the sentiment and 3 more to the corner of the vellum. Wow, this birthday card is a beauty! Whomever gets this is sure going to have a nice surprise. Thanks for joining us at Sketch Saturday - hope you'll come back in the morning to see our new sketch - it's adorable! A wonderful image! Love how you put your card together...and yep, the vellum is perfectly placed. Thanks for playing along with us this week at Loves Rubberstamps. Such a cute image colored brilliantly! Thanks for sharing at Craft Your Passion#249. Good luck! Fabulous! Loves the gorgeous image and the sparkling flowers! You rocked that image! Thanks for joining Loves Rubber Stamps this week! Mary, this is beautiful! Love your coloring on the image and the great design. Gorgeous! Thank you for joining our challenge at Aurora Wings. Her eyes have so much expression. Beautiful! Thank you for participating this week in the Creative Card Crew challenge. Gorgeous! 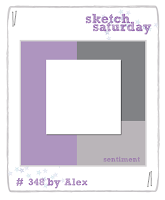 love the soft color palette and your design showcases that cute image beautifully! Thank you for playing along with us at Inspiration Destination Challenges- We sure hope you join us again! This is lovely...Thank you for sharing with us at Digi Choosday, and good luck. What a beautiful card - love all the attention to detail!!!! Thanks for joining us at Crafty Gals Corner and good luck! What a sweet card! I just love the soft colors! 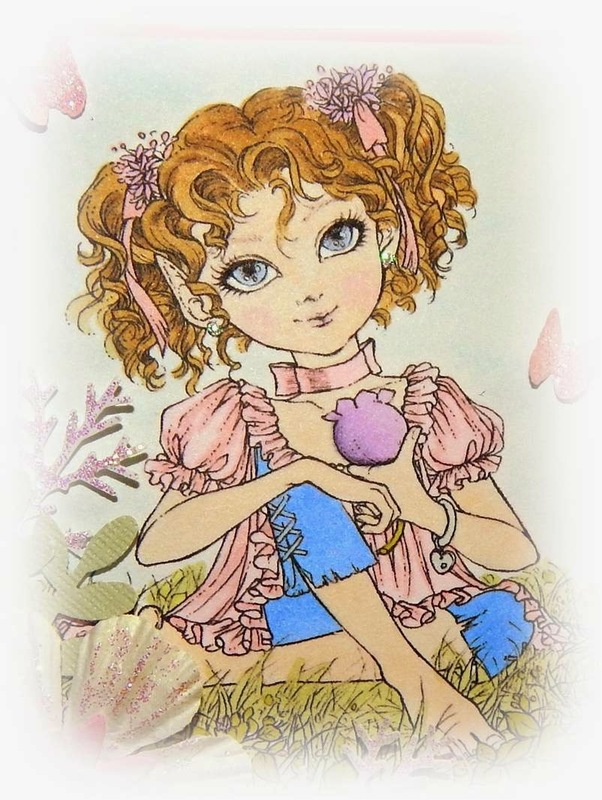 This is a gorgeous card, such a sweet image and pretty pinks. It's me again, I just popped back to say thank you for joining us at Ooh La La Creations as well. Beautiful birthday card and gorgeous image! Thank you for sharing with us at Scrap & Craft and Good Luck! This is such a beautiful card! The image is so sweet and I love those gorgeous sparkly embellishments. Thanks for sharing your creation with us at In the Pink!